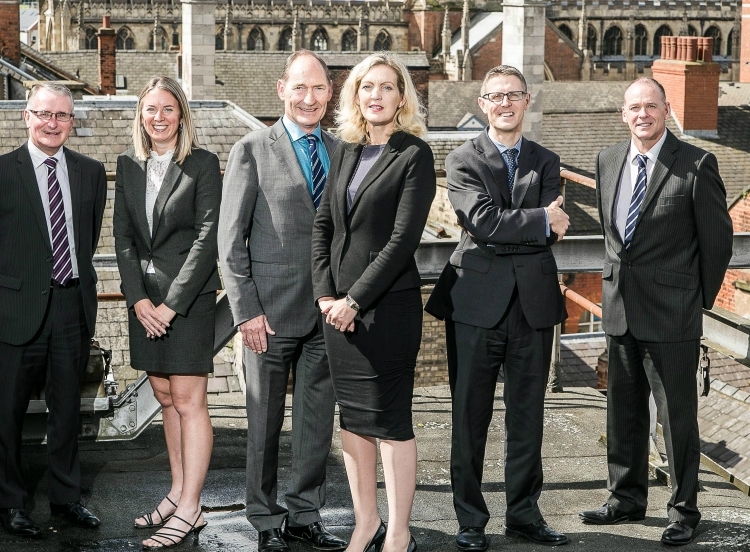 Hull-based Williamsons Solicitors has strengthened its Board of Directors to reflect strong growth. Company secretary Brian Cook and solicitors Jane Cousins, Jim Suthers and Nick Gray have joined existing directors Bill Waddington and Sarah Clubley on the Board. "We have put in place a structure designed to oversee our continued progress and to assist with our plans for the future," said Mr Waddington. "The appointments will allow sharing of responsibilities as the business continues to grow and will enable us to move on with our plans more quickly. Williamsons has opened branch offices and steadily increased its client base over the last few years in Hull and East Yorkshire generally. Sarah Clubley said that that the firm's strategy to increase its presence outside the city was proving successful. "We did it to improve services to our existing and prospective clients in the county by making it much more convenient for them," she said. "We have been able to markedly increase the size of our operations in Driffield and Bridlington and are making good progress in Beverley after opening up in the town this spring." Mr Cook is the longest serving of the new board members after becoming practice manager in 1996 and then company secretary in 2010. Mr Suthers, who is a senior solicitor in the firm's personal injury department, qualified through the firm's trainee solicitor programme. Jane Cousins heads the residential conveyancing and wills and probate departments and she too qualified through the same process. Mr Gray, who sits on the Law Society's Clinical Negligence Panel, represents a department that is pursuing an increasing number of high value cases. The last 10 years have been a period of expansion for Williamsons, which recently concluded its 125th anniversary celebrations. The company marked its 10th anniversary in Driffield by transferring to bigger offices in Times House, Mill Street, at the start of 2016. The firm opened offices in Bridlington in 2012, moving to larger premises in 2013, in Wellington Road, after taking on the staff of local practice Stuart Smith & Burnett. Williamsons opened a Beverley office this March in premises formerly occupied by Davis Davidson Solicitors at Grade I listed Tower House in North Bar Within.